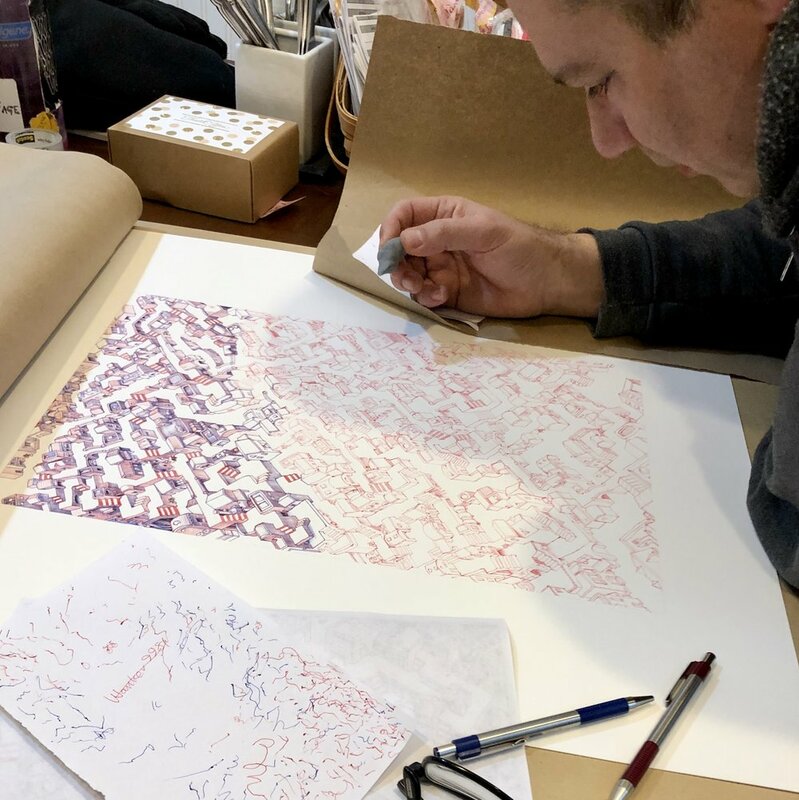 Working on a fairly large red and blue ballpoint commission based on the maze from my December post. It’s too fun! Any larger, I’d have to work on an easel or wall. 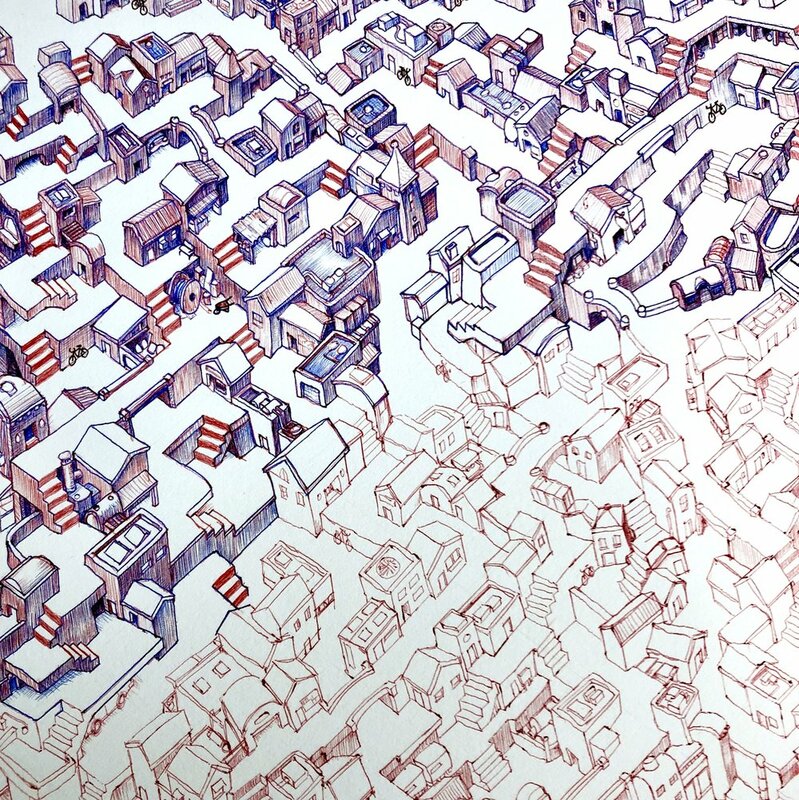 The maze is created in the red ballpoint. I did use light pencil guidelines for the isometric grid. 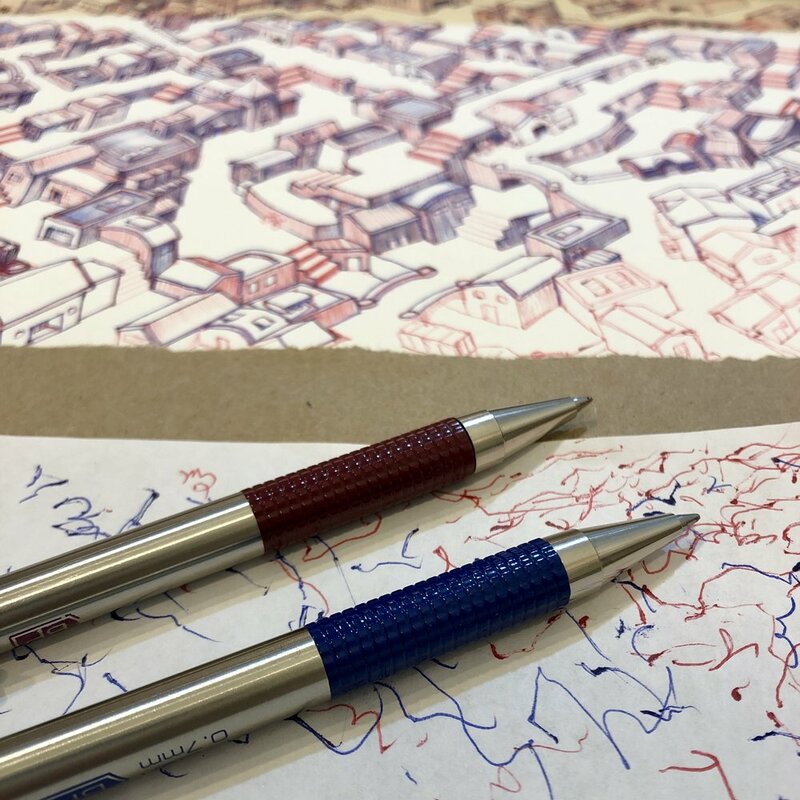 Though I used a grid, I still kept the buildings and paths kind of loose. Cleaning the pens as I draw. I love my Zebra pens!